One of the best ways to improve a compost pile is through the assistance of worms. These worms helps break down the compost, mix different minerals throughout the material and aid the process of the organic material breaking down. While it is possible to do this in just a large heap in a yard, it is not always the best practice to do this. The larger piles of compost are not the most attractive to look at, and if you live in an apartment or condo, it’s just not possible to do it anyways. This is why it is important to use a worm composter. 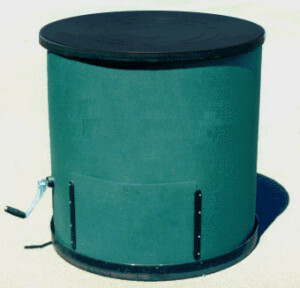 With a worm composter, you can produce exceptional compost, without needing much space and any sort of fancy equipment. 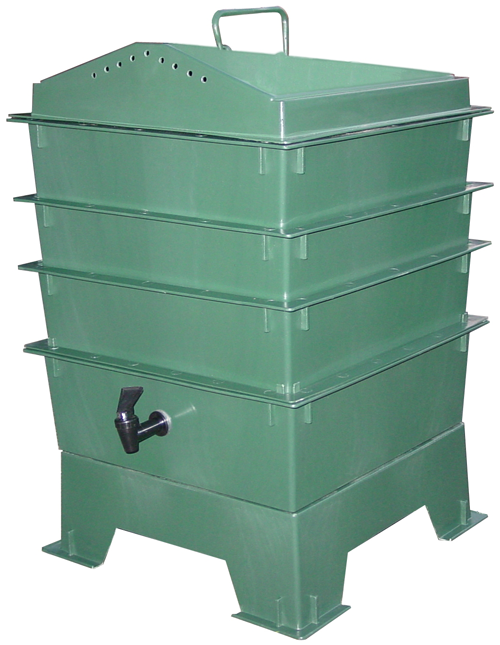 The Worm Factory 360 WF360B Worm Composter comes with an instructional DVD for anyone who has never composted in such a manner before. With easy to follow the instructions, this equipment comes with a four-tray stand and can be expanded to eight trays. This way, fresher organic material can be placed on the top while the lower down layers continue to break down and receive oxygen from external vents in the equipment. This is also great for apartments and other locations where there is not much room. Without much space, it is difficult to compost in a traditional way, but as this device builds upwards, it makes it easier. Plus, there is a worm tea collector tray and spigot at the bottom. This releases an excellent source of liquid nutrients and can be used as a spray fertilizer for anyone looking to quickly add nutrients to their garden. For anyone who wants to compost, but doesn’t have a large amount of space and doesn’t want to spend a large amount of money on equipment, the Can-O-Worms Composter might be what you’re looking for. 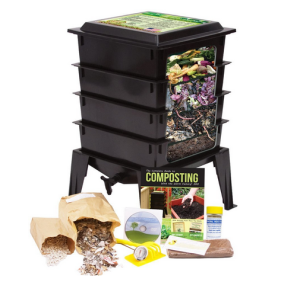 This device costs under $100 and is going to make it exceptionally easy to compost. It has several layers, making it possible to slide one layer in in order to add more organic material and one layer out in order to gather the soil produced and add it to current gardens and other areas where the nutrient rich gardening might be of use. More trays can be added while the worms inside of the compost are able to eat through the decomposing material and spread the nutrients around. The worms also help spread oxygen, which is going to increase the process and reduce the amount of time it takes to complete the compost of organic material. There really is no reason why someone should spend a large sum of money while composting. After all, this is about the breaking down of organic material and using it as fertilizer and should not be all about how much money someone can spend. This is an inexpensive option that allows the worms to do the work. It is a container that helps bring oxygen into the organic material, but outside of this, the worms do most of the work. This way, worms help spread the nutrients through the soil and also spread oxygen as well. This is one of the most natural methods for producing a compost pile and it is also going to allow you to reduce the amount of time it takes, as the worms survive and flourish in a suitable environment such as this. 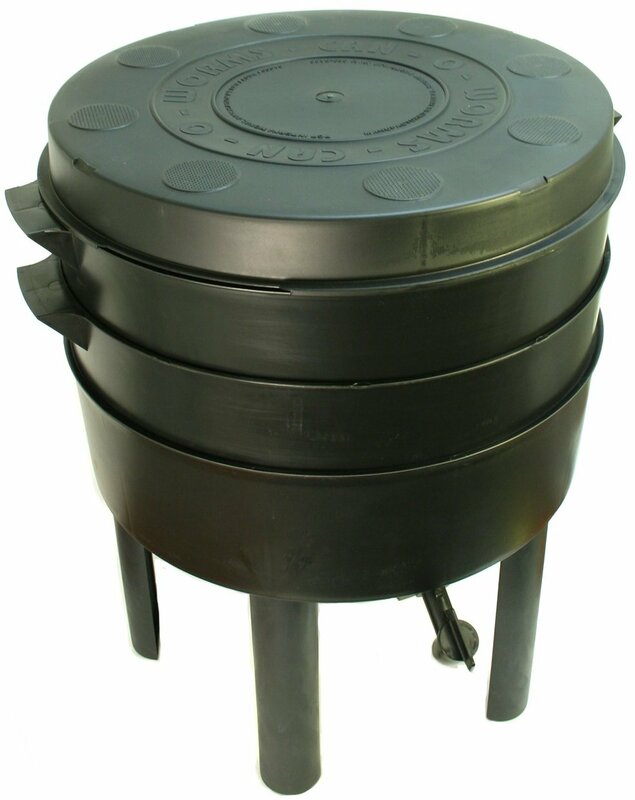 You can find this produced for around or under $50, and it is perfect for a small location or for someone who doesn’t have a great deal of organic material to dispose of. However, it works just as well as the larger products, as the different trays allow you to remove soil as it begins to break down and add more organic material to the top of it as it becomes available. The worms inside the dish also are going to help improve the amount of time it takes for the organic material to decompose and to return to soil form. As this is good for an apartment sized location, it is also going to provide the necessary nutrients for an apartment size of plants. If you’re looking to produce a small garden, grow plants inside a small space or doesn’t require much added compost to their home, it is one of the best options available.